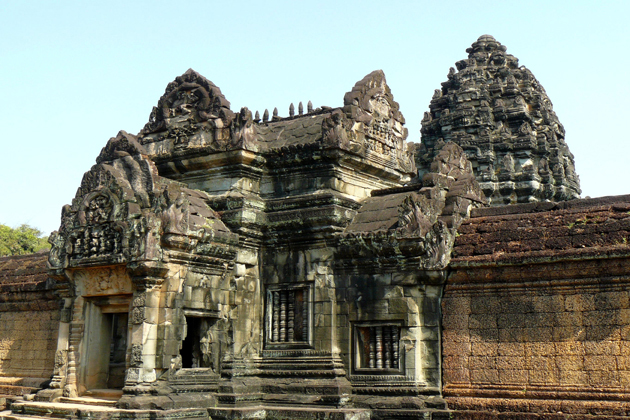 A few days of leisure but still want to have a wonderful Cambodia tour? 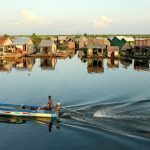 The 9-day tour with all essential locations of Cambodia in Siem Reap, Kompong Chhnang, and Phnom Penh will absolutely worth your while. 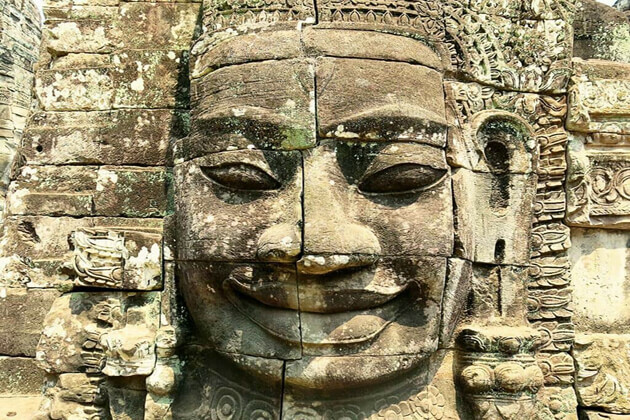 Discover the magnificent temples in Angkor Wat and Angkor Thom in Siem Reap. 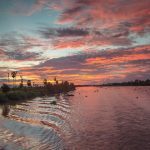 Then start your journey on the RV Jayavarman to Tonle Sap Lake to see the different birds in the lake, come to Kampong Chhnang the next day to explore the marshes along the river, to Kampong Cham to join the journey on land - Wat Hanchey Temple - Angkor. Travel to Phnom Penh - a crossroads of the past and present of Asia to visit the Royal Palace, National Museum, Silver Pagoda and other famous attractions in Phnom Penh within two days. 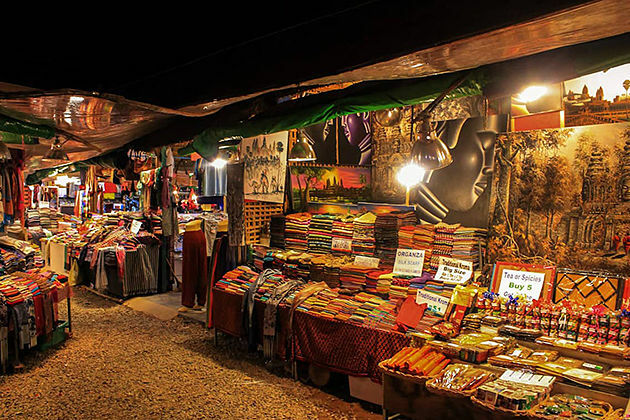 Welcome to Siem Reap – the city of the wonder in the world! 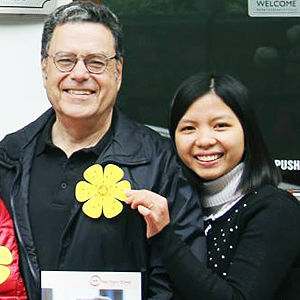 You will receive the warmest welcome from our local guide at the airport, then you will be taken to the hotel. 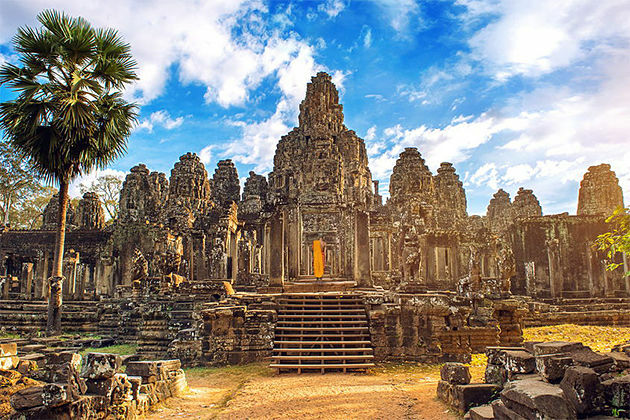 After a check-in and take a short break, spend half a day for your guide take you to explore the wonder of the world – Angkor Wat – a magnificent temple built in the 12th century and a complex Hindu temple – the largest Buddhist and the largest religious monument in the world. At the end of the day on the way back to Siem Reap, enjoy the sunset from the top of the pyramid-shaped Pre Rup. 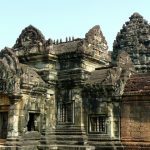 This is a Siem Reap day tour. 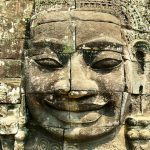 Enjoy your breakfast, then board a tuk-tuk to visit the ancient city of Angkor Thom – the last and most durable capital city of the Khmer empire. Angkor Thom tours will start at South Gate and walk along the ancient wall to see the lost temple of Prasat Chrung, then continue to the Bayon Temple, where you will be surrounded by 216 famous giant rock formations called “Angkor Smile.” You will also visit the Terrace of the Elephants, the Royal Palace and the Terrace of the Leper King. Continue the Siem Reap tour, moving to Ta Prohm. After exploring Ta Prohm, you have the rest of the day for leisure. The third day in this Cambodia Tour with Mekong Cruise, we hope for your growing excitement for this trip. After breakfast, you will go to Pink Temple (Banteay Srei). 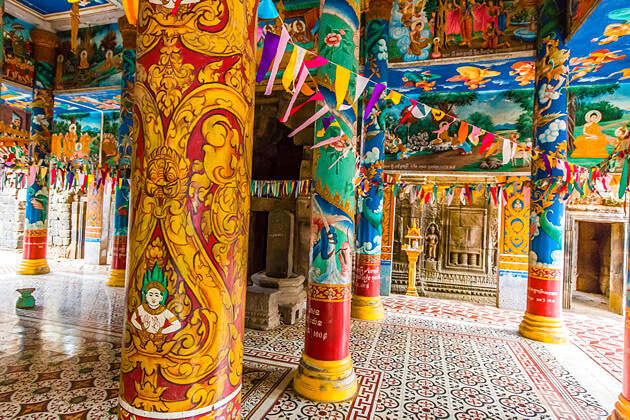 Despite its miniature scale, this temple has breathtakingly sculptured walls that are still observed in fine details to this day. On the way back, chatting with local communities and your guides will help you interact with local people to learn about the lifestyle here. Enjoy Palm Wine and Palm Sugar (seasonal) and other popular local products. 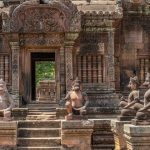 Then you will continue to the Banteay Samre temple built in the 12th century. Finally, you will have the opportunity to ride the ox cart around the village near the Samre Shrine to experience the local life of the Cambodian people. Have breakfast and relax a bit until departure to Lake Tonle Sap to board Jayavarman RV for cruising. 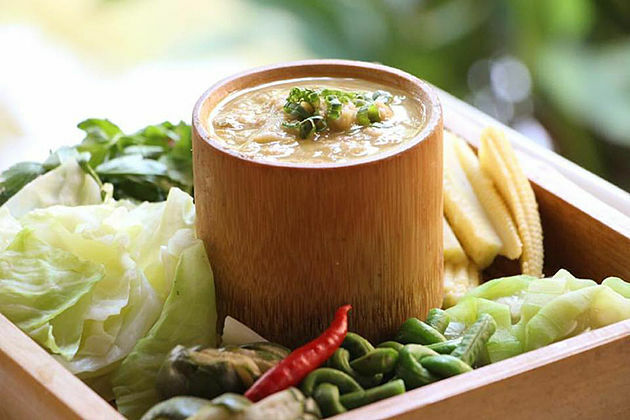 Start the Tonle Sap lake journey from noon with lunch ready to be served. 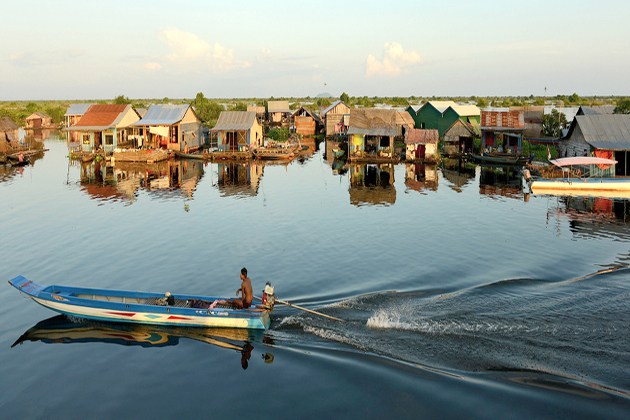 Tonle Sap Lake is recognized as the largest freshwater lake all over Southeast Asia. You can find different birds at the lake and when the sun goes down, you will enjoy dinner and overnight on the board. “At 12 noon, you gather at the next rendezvous point for a speedboat ride. A sumptuous drink and lunch are served on board. Get up early and you can enjoy the Tai Chi lesson on the sun deck as the sun slowly rises. The ship will travel out of the lake to Kompong Chhnang in the morning and you can enjoy the marshes along the river. 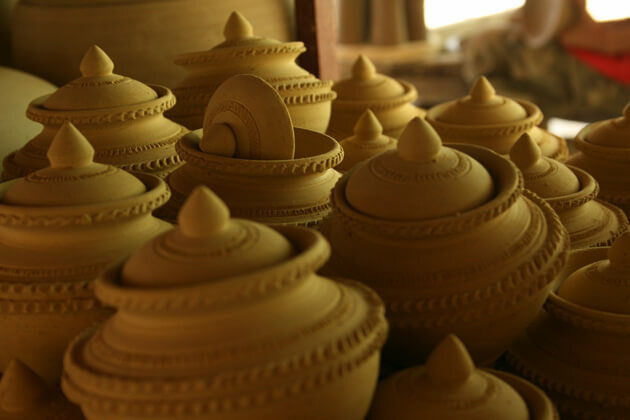 When you arrive in the province in the afternoon, you will take a short bus ride to visit the Khmer style pottery in the village of Audaung Russey. Then continue by motorboat to Kompong Cham and you can see the wetlands, floating houses and fish farms along the way. Participate in a bull rally before visiting the Heritage Line pro bono “Literary Project”. “The new day always starts with a Tai Chi lesson invigorating on the sun deck. Before dawn, the ship runs along the Tonle Sap. When the ship is about to leave the lake, we see spectacular swamps floating along the banks of the Kampong Chhnang River. 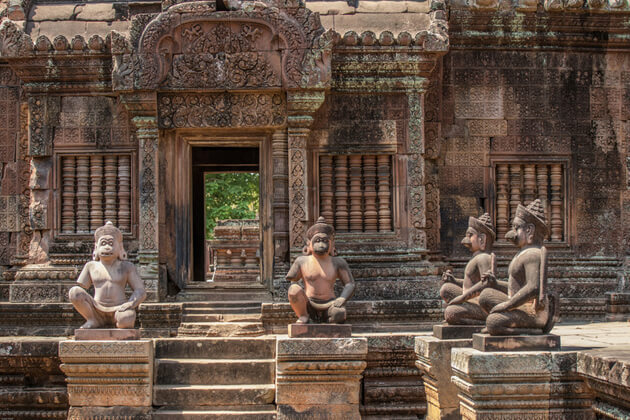 After breakfast, you will take a journey on the mainland to the pre – Angkorian temple of Wat-Nanchey. You can get a moto-taxi or climb up to 291 stairs to the top of the pagoda. Spectacular views from the top are waiting for you to enjoy. You will witness the blessing ceremony made by local Orange monks after returning to the ship. 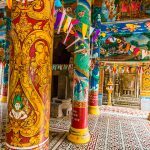 Then you will go towards Kampong Cham to visit Wat Nokor, a mountain built inside the ruins of an ancient temple with a timeless story. “You will wake up in the early hours of the morning, really energized to embark on a land trip to Wat Hanchey’s pre – Angkor Wat. You can take a taxi or climb up to 291 steps to the top. Situated at the top of a hill overlooking the river, it offers one of the most breathtaking views in Cambodia. Return to the ship to witness a ceremony conducted by local monks. 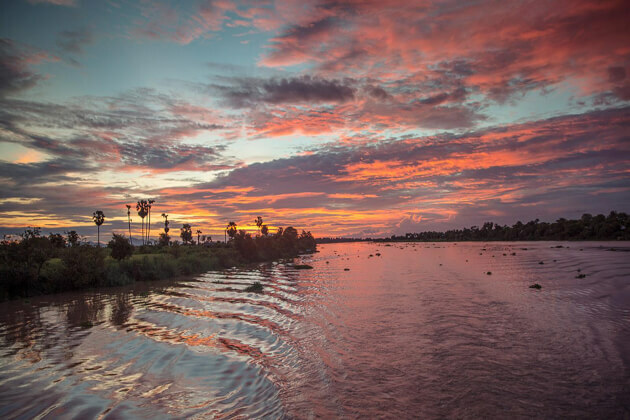 As the tide permits, enjoy a surprise in the zodiac (inflatable boat) to the nearby river to swim in the tea-colored Mekong. Then you will travel to Kampong Cham to visit Wat Nokor, a mountain built inside the ruins of an ancient temple with an endless story. 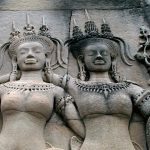 How an exciting Phnom Penh day tour! After breakfast, you will visit the Silver Pagoda with 5,000 silver tiles on the floor and visit the Royal Palace where the Khmer royal family lives. 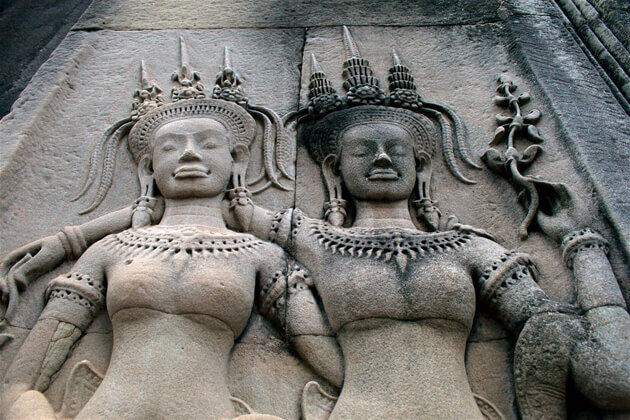 You will also visit the National Museum, where you will find large collections of history, art and Khmer architecture. 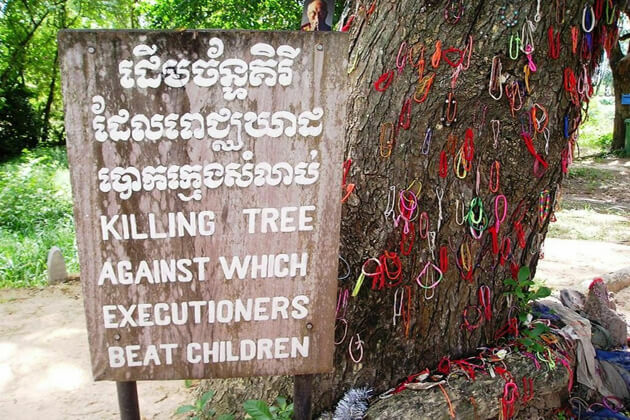 After lunch, continue your Phnom Penh day trip to the Genocide Museum and the Killing Field. After visiting the museum, return to the ship and enjoy a cocktail and traditional Apsara dance on board. Overnight in Phnom Penh. “After breakfast, we will be told a comprehensive lecture on the history of Cambodia. 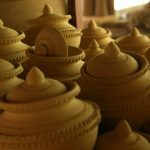 Then visit the Royal Palace and Silver Pagoda, witness the Khmer craft is particularly beautiful at the National Museum. 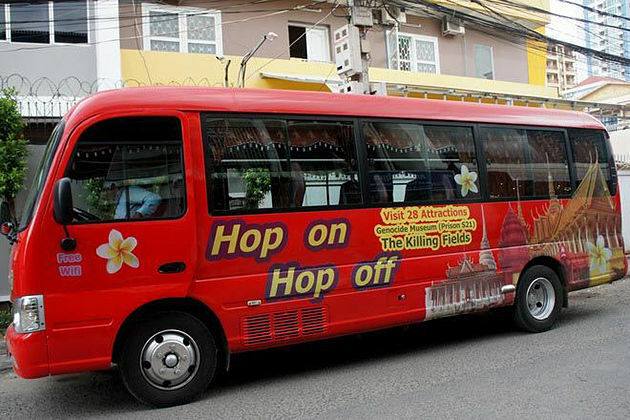 After lunch at a local restaurant, we will visit the Genocide Museum and the Killing Field in the town. 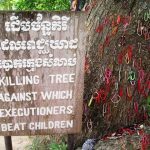 You will feel immense emotions after visiting the Genocide Museum and the Killing Field when witnessing the cruelty of the Khmer Rouge regime in the dark period of Cambodia. 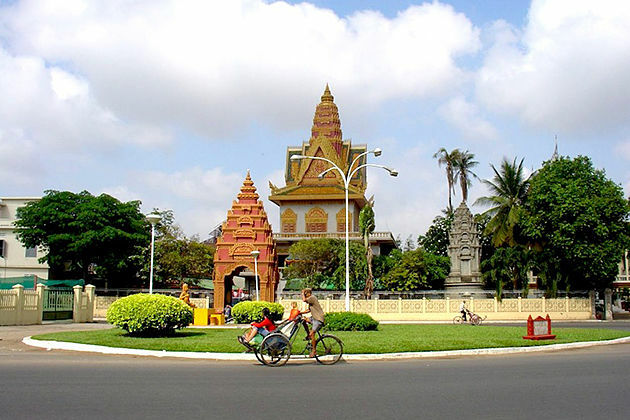 Your cruising will finish after breakfast and you can enjoy in Phnom Penh at your leisure. 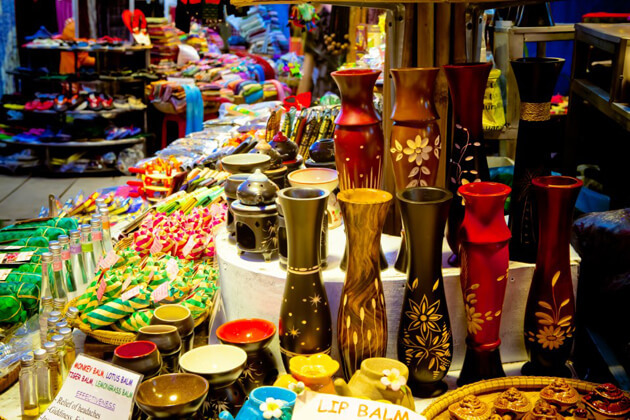 Talk more with local people to better understand Cambodian customs. 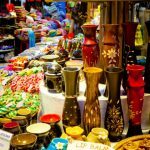 Buy some souvenir for your Cambodia vacation at some of Phnom Penh’s famous shopping malls like Sorya Trade Center, Naga City Walk, The Russian Market is also an ideal choice. You have free time to relax and prepare for the flight leaving Phnom Penh, ending your Cambodia excursion. We hope you have a perfect Cambodia holiday!